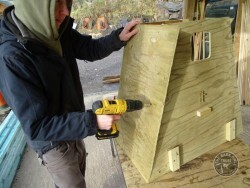 A Barn Owl nestbox in a tree is the next best option if you do not have a suitable building. 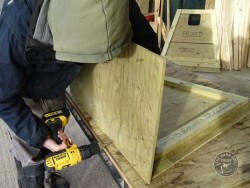 If you have a suitable tree, a tree box is easier and more practical than a box on a pole. 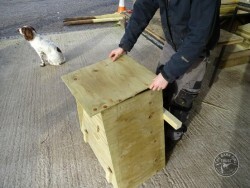 More about Barn Owl boxes for trees. 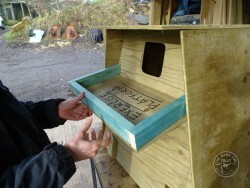 Or buy a tree nestbox – ready made! 1. 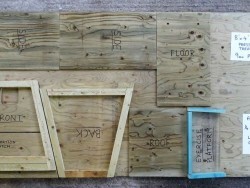 A suggested cutting plan (note that the battens on the edge of the exercise platform are inset at one end). 2. 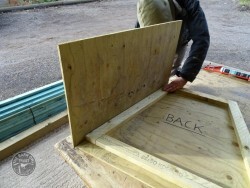 Internal battens are first attached to the back and front (see picture 10). 3. 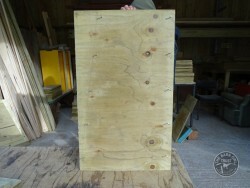 The back is pre-drilled with three holes for attaching the Tree Support. 4. Screw positions for the side sections. 5. 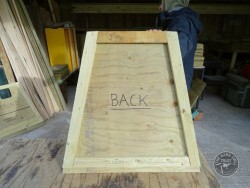 Note that the front will be inset by 100mm at the top. 6. 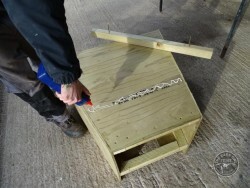 30mm screws are used (except for attaching the Tree Support – see later on). 7. 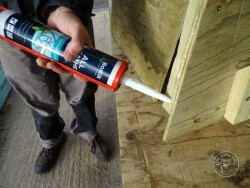 An ‘all weather’ sealant is applied immediately before the surfaces come together. 8. 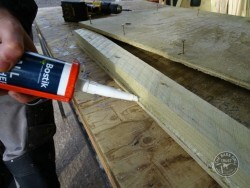 Get the sealant close to the edge so the plywood pieces are sealed to each other. 9. 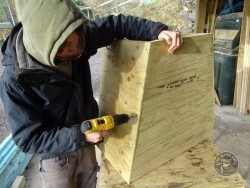 Attach the side leaving the overhang at the bottom. 10. 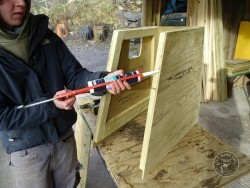 In the background – note how the battens are attached to the front section. 11. 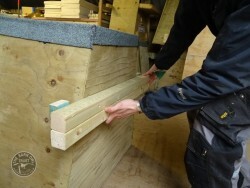 Sealant is now applied to the ply edges of the front section. 12. 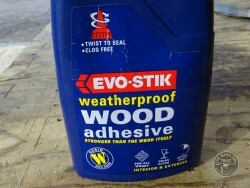 We use BOSTIK or EVERBUILD ‘all weather’ sealant (not just silicone). 13. 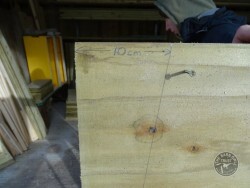 Remember that the front is inset by 100mm at the top. 14. 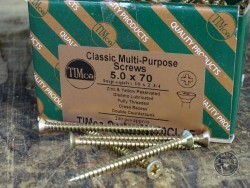 5 x 30 mm screws are used. 15. 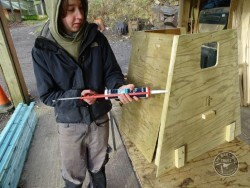 Sealant for the second side. 16. 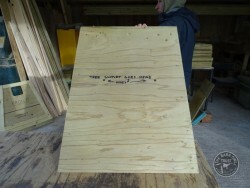 The second side goes on. 17. 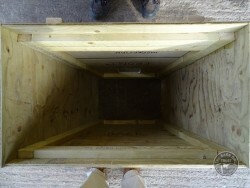 The view ‘up’ through the box before the floor is fitted. 18. 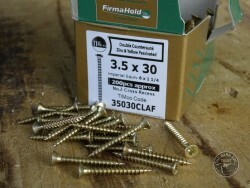 Use larger 50mm screws for the floor – 5 along the front and back edges. 19. The floor is screwed into place. 20. 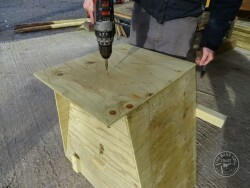 Lay the box on its front and apply weatherproof glue. 21. Like this this one. 22. 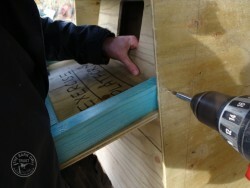 Now use two longer screws to secure the Tree Support. 23. 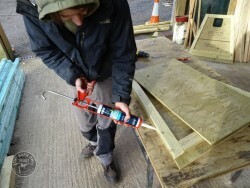 This joint MUST be very strong so we use 70mm screws as well as glue. 24. 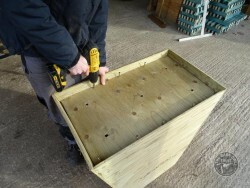 Then we use 3 x 50mm screws from the inside outwards. 25. 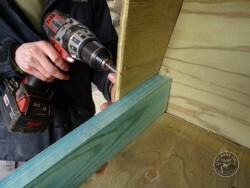 A good cordless drill-driver makes the job much easier. 26. Now the lid goes on. 27. 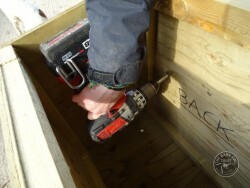 30mm screws are ample for this. 28. 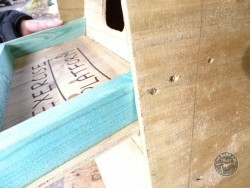 The Exercise Platform is now offered up. Note the downwards slope. 29. 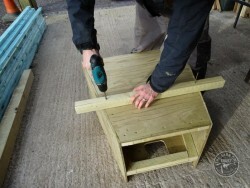 Note that the sides of the platform are angled inwards (see first picture). 30. If you get the angles right it should all come together like this. 31. 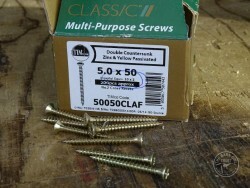 Just 2 x 30mm screws in each side should suffice. 32. 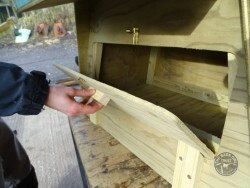 Check that the Inspection Hatch opens easily. 33. 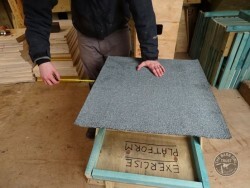 We use torch-on roofing felt that is guaranteed for 10 years. 34. 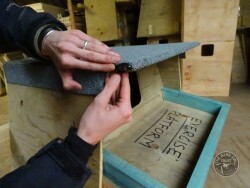 You may prefer to use a thinner polyester felt and roofing tacks. 35. 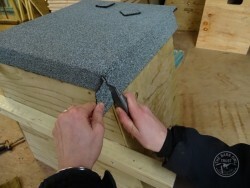 Please don’t use thin underfelt as it will not last long enough. 36. 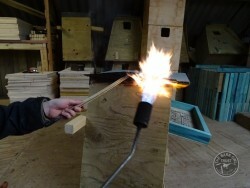 Here, Jasmin is heating the side overlaps. 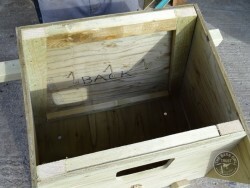 You must not let rain get into the box. 37. 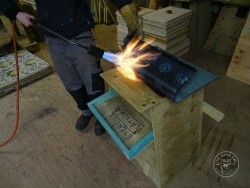 Hot felt can be ‘moulded’ nicely around corners. 38. 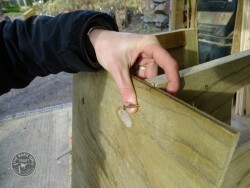 This part attaches to the tree by nails or a UV-stable Rachet Strap. 39. 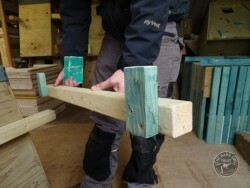 The box hangs from it and then the two supports are nailed together. 40. 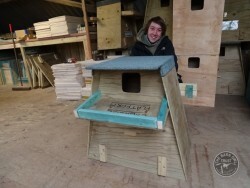 If you think this is all too much for you, why not buy one that Jasmin has made?